Richard Goodwin Keats was born January 16, 1757 in Chalton, Hampshire, England. He joined the Royal Navy in 1770, and in 1776 visited Newfoundland with Governor Montagu on the Romney. 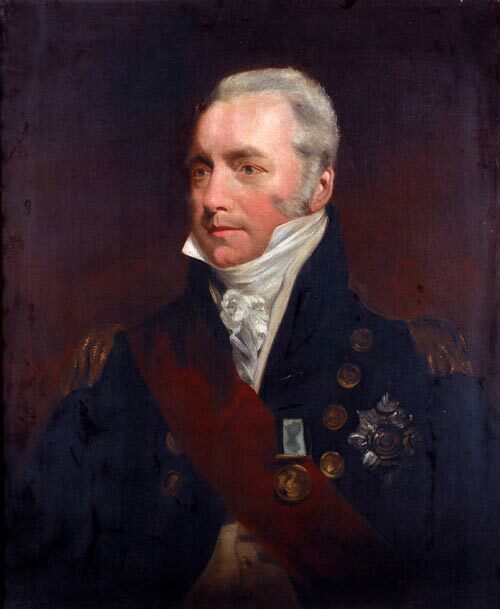 He had a successful career, and in 1807 he was promoted rear-admiral and became a Knight of the Order of the Bath the next year. He was promoted vice-admiral in 1811. On March 18, 1813, Keats was appointed governor and commander-in-chief of Newfoundland and the neighbouring islands of St. Pierre and Miquelon, which were then in British hands. Keats was instructed to grant leases of land for cultivation to help the growing population. By the fall, he had granted 110 leases in St. John's. However, it was still not legal to own property, or to enclose property for any other reason besides the fishery. Keats punished those who did not obey the law, and had two Bell Island inhabitants' property destroyed because of it. Keats was concerned with the number of Irish Catholics on the island, and appealed for more Anglican missionaries. In 1815, 6,000 Irish immigrants arrived, which alarmed many Newfoundland inhabitants, coinciding as it did with the post-war depression. In May 1816, Keats became Governor of Greenwich Hospital for seamen. He became an admiral in 1825. He died April 5, 1834 and was buried at Greenwich Hospital, London.